Sisters always hold a special place in your heart, and they have so many facets to them. They can be part mom and part friend. It doesn’t matter the part because they all have one thing in common: they always love you. And that’s why it’s important to find the right way to say happy birthday sister. 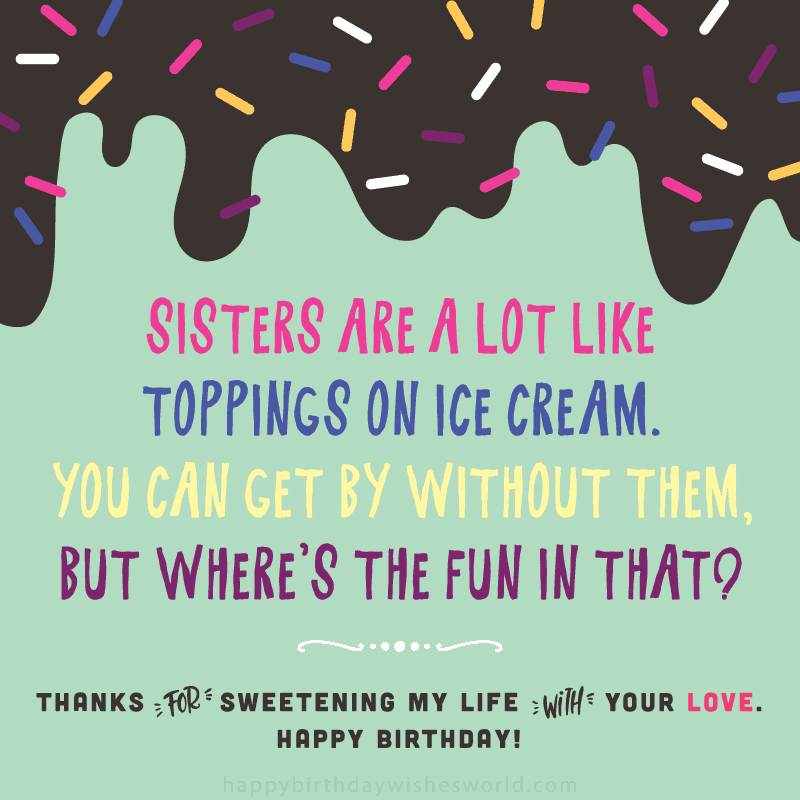 It can be a challenge to find just the right way to convey how much your sister means to you though. 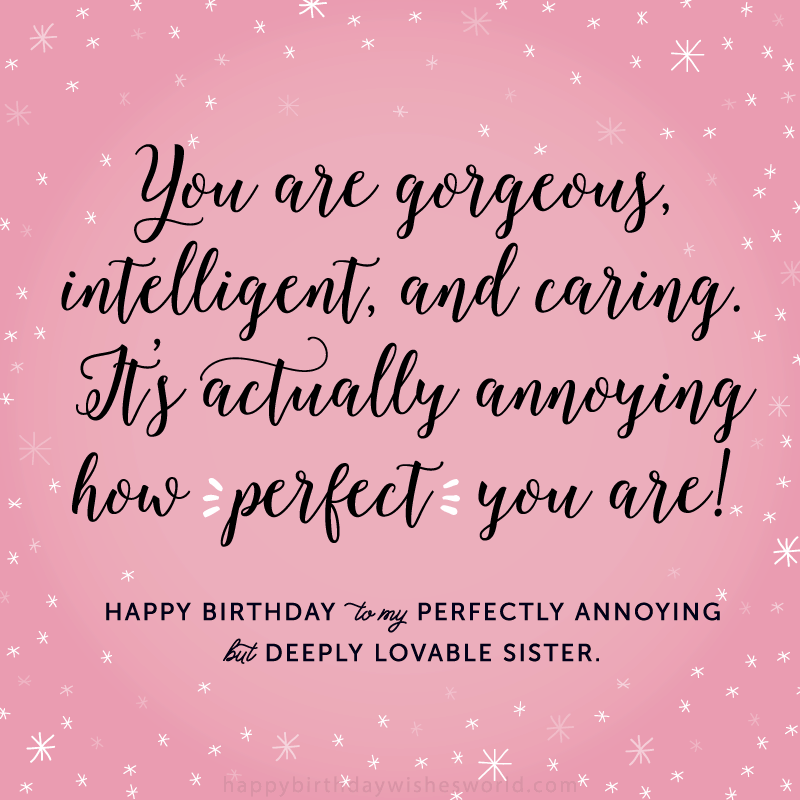 So, whether your sister is cool, confident, sassy, annoying, or downright adorable here are some birthday wishes that will hopefully inspire you for her birthday. 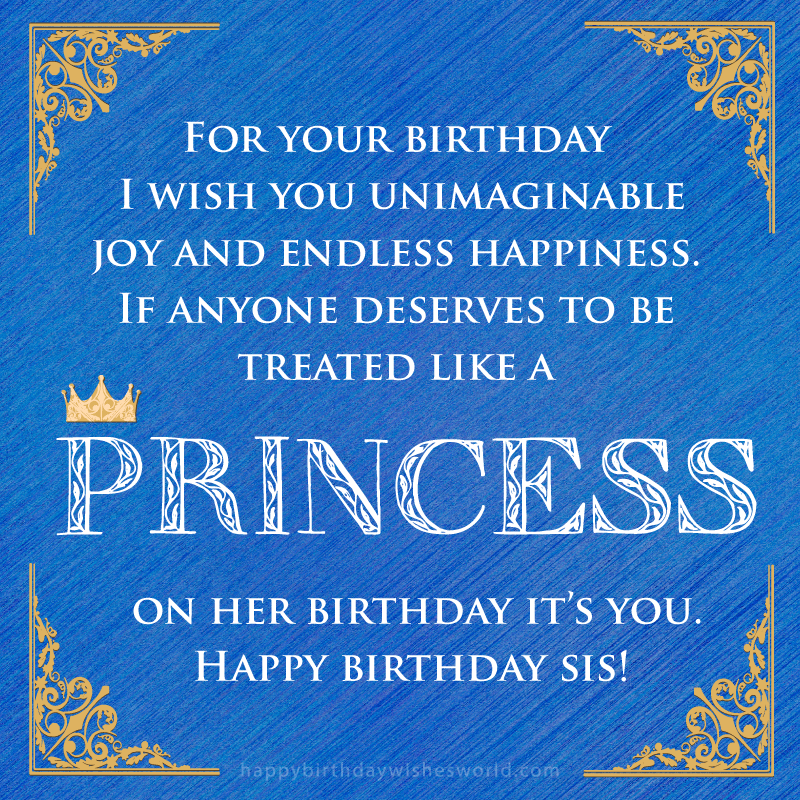 Happy birthday to someone who has only brought joy and love into my life: my sister. 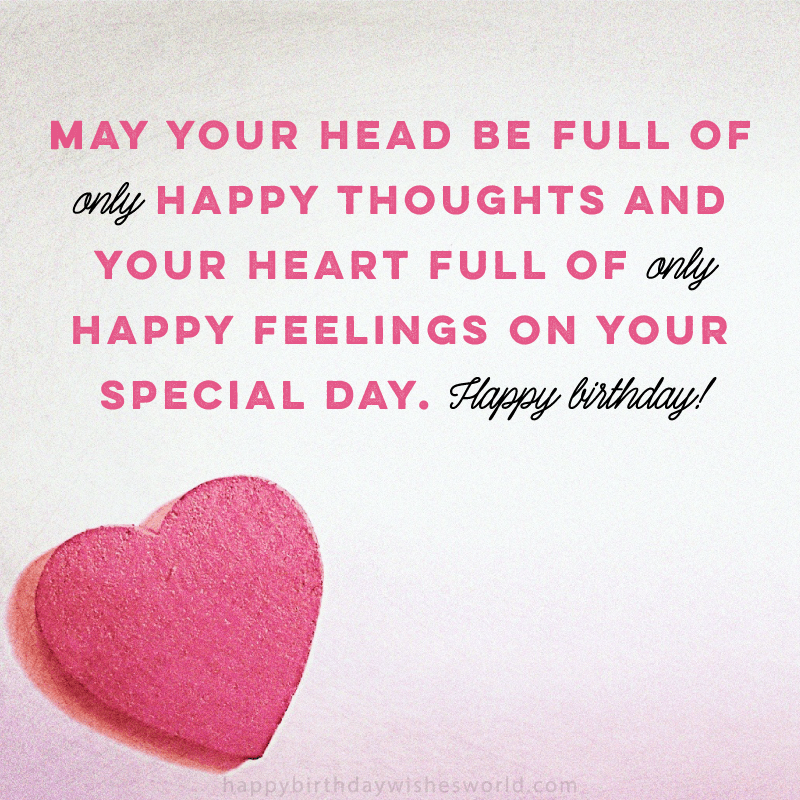 I hope your special day brings you everything you could ever wish for because you deserve that and so much more in life. Friends may come and go throughout my life, but family is forever. I am so grateful that I have a sister as wonderful as you by my side. There is no one I would rather have as a sister than you. 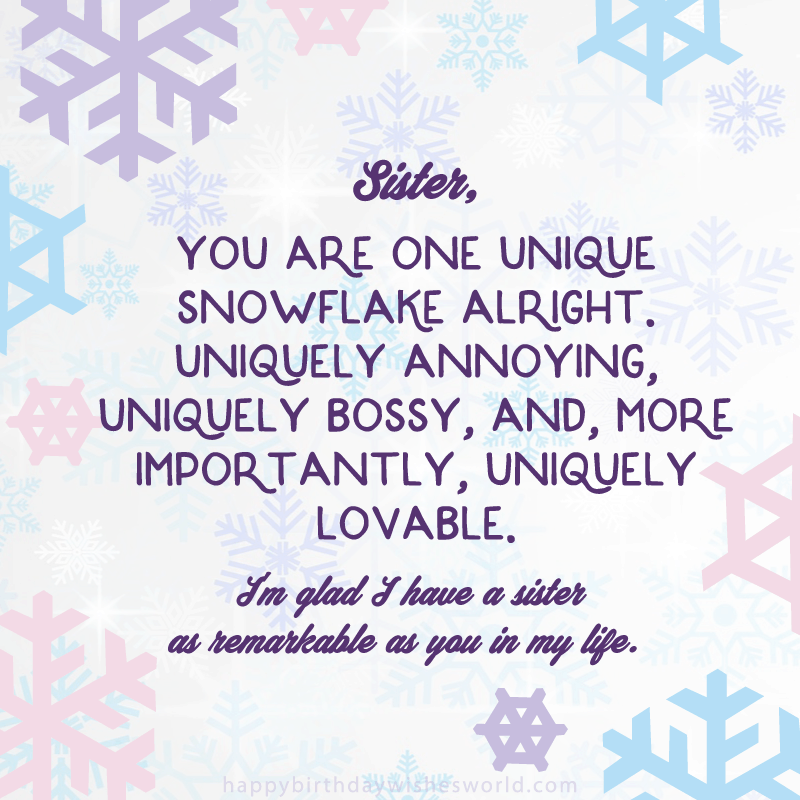 Sister, you are one unique snowflake alright: uniquely annoying, uniquely bossy, and, more importantly, uniquely lovable. I’m glad I have a sister as remarkable as you in my life. Growing up I always looked up to you, and as we grow older, I still do. Thanks for always showing me how it’s done with style. Happy birthday to my role model! Sister, no one shines as brightly as you do. You do more than stand out in a crowd; you dazzle people with your kindness and generosity. Thanks for always bringing the sparkle into my life. 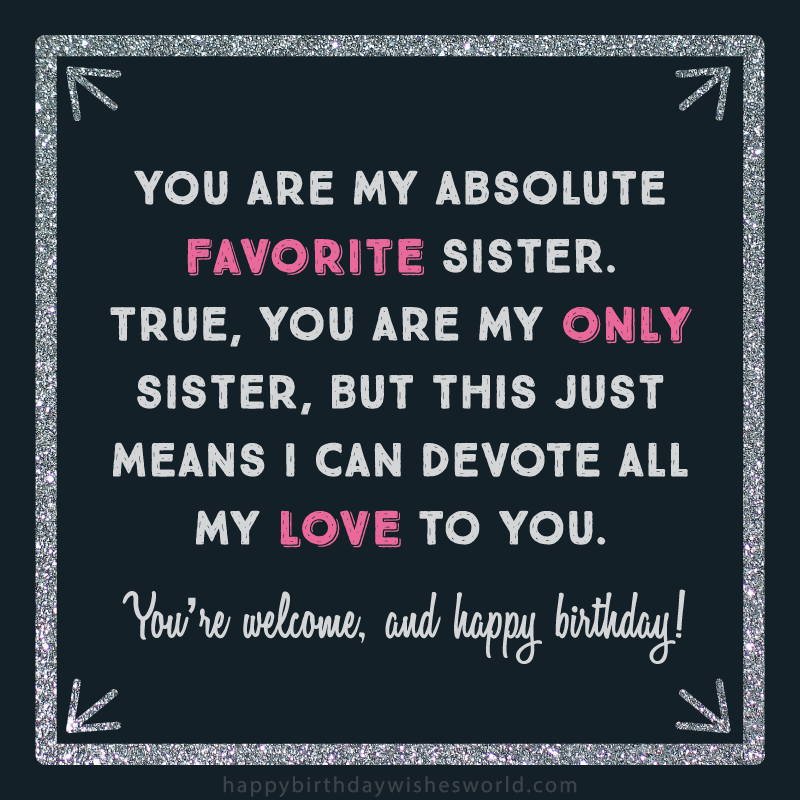 Looking for more happy birthday sister images?